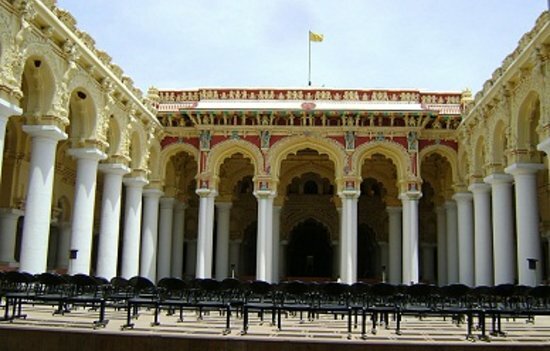 Thirumalai Nayak Palace is a 17th century palace was built by King Thirumalai Nayak, one of the Madurai Nayak rulers in 1636 AD in the city of Madurai, India. 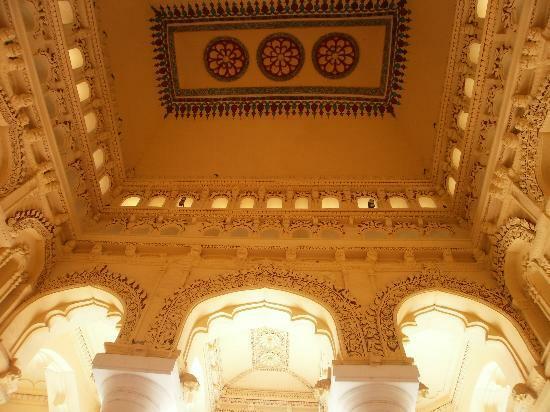 The paintings, carvings and designing of the mahal shows the amazing talents of the Nayak kings. This Palace was built with the help of an Italian Architect and is a classic fusion of Dravidian, Islamic and European styles. A classic example of the Indo-saracenic style, the piece de resistance of this mahal is its carved dome outsoars without the support of girders or rafters. This mahal has 248 pillars of each 58 feet tall and 5 feet in diameter. The gigantic pillars and paintings of the events that took place before, the ethics impress ourselves and take us to the 16th century. There is a dancing hall and a courtyard at the center of the mahal. The stucco work on its domes and arches is remarkable. Now this mahal is used for cinema shooting. 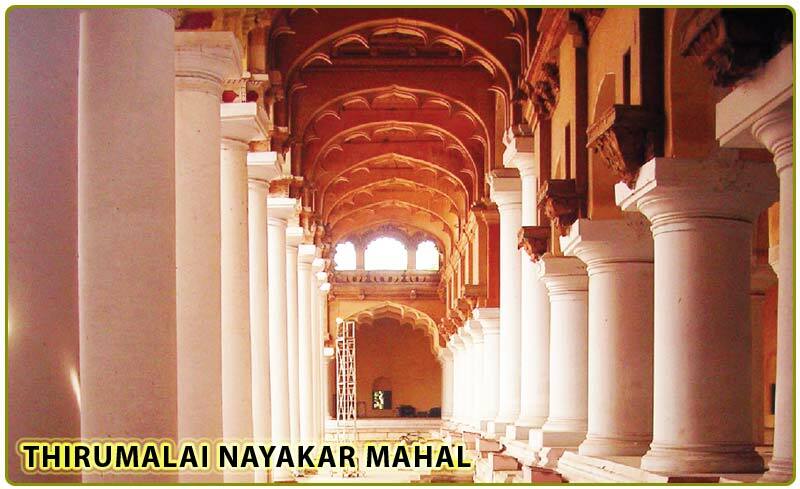 Thirumalai Nayak’s Palace at Madurai was considered to be one of the wonders of the South. Thirumalai Palace was declared as a national monument and is now under the protection of the Tamil Nadu Archaeological Department. The time for the visit to the palace is from 9 a.m. to 5 p.m. on the payment of the entrance fee. The palace is well equipped to perform Light & Sound shows depicting the story of Silapathigaram both in Tamil and English languages. The Palace is located in the eastern side of the city, around 1.2 km South East of the Meenakshi Amman Temple in the city of Madurai. Madurai being a popular tourist center is well connected by railways and has daily flights to Mumbai and Chennai. The half hour show about life, passions and victories of King Thirumalai which is very inspiring and is a must see for tourists who want to know how past age kings used to live in royalty. we welcome all enquiries !